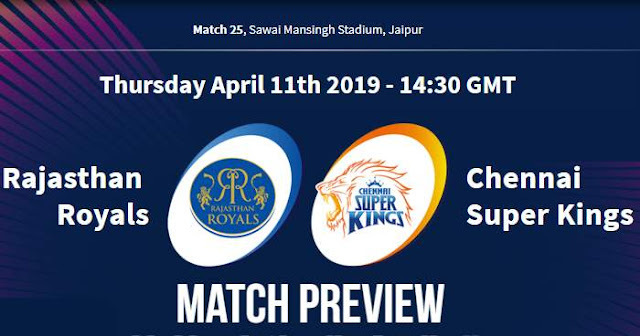 Rajasthan Royals (RR) and Chennai Super Kings (CSK) will play the 25th match of the tournament; 12th season of Indian Premier League - IPL 2019 on 11th April 2019 at Sawai Mansingh Stadium, Jaipur. As far as weather is concerned, it will be a hot day with a maximum temperature of 40°C but the match hours temperature will be below 35°C. The Sawai Mansingh Stadium spins less than any other surfaces, there are some dry areas interspersed with grass. As we move along, the grass content is heavier. It will allow the ball to slide on nicely, should be some pace and bounce - this pitch will aid the faster men and you can score some runs as well. Rajasthan Royals are in a tough situation. They are seventh on the table with just two points out of five games. The only team the Rajasthan Royals have defeated so far is Royal Challengers Bangalore, the on the eight positions with no wins till now this season. On the other hand, Chennai Super Kings are currently table topper with 20 points in 6 matches; 5 wins and a loss. For Rajasthan Royals, the only chance possible is replacing Krishnappa Gowtham who has only taken a wicket in 5 matches; hey may be replaced by Mahipal Lomror. Chennai Super Kings would like to play with the same playing XI combination but dew will once again be a huge factor, and therefore Harbhajan Singh, despite bowling beautifully in the previous match, could make way for a third quick probably Mohit Sharma. Chennai Super Kings (CSK) and Rajasthan Royals (RR) have played 20 matches against each other in Indian Premier League (IPL). Out of 20 encounters in IPL, Chennai Super Kings have won 13 times and Rajasthan Royals have won 7 matches. At Sawai Mansingh Stadium, Jaipur; Rajasthan Royals and Chennai Super Kings have played 6 matches out of which Rajasthan Royals won 4 matches and Chennai Super Kings won 2 matches. 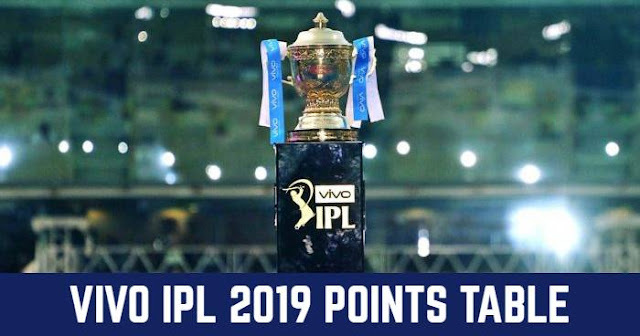 Last match betwen them was played in IPL 2019, where Chennai Super Kings beat Rajasthan Royals by 8 runs. MS Dhoni has won 99 matches as captain in the IPL. Playing XI for RR: Ajinkya Rahane(c), Jos Buttler(w), Steven Smith, Sanju Samson, Rahul Tripathi, Ben Stokes, Riyan Parag, Jofra Archer, Shreyas Gopal, Jaydev Unadkat, Dhawal Kulkarni. Playing XI for CSK: MS Dhoni (c & wk), Shane Watson, Faf du Plessis, Suresh Raina, Ambati Rayudu, Kedar Jadhav, Ravindra Jadeja, Deepak Chahar, Mitchell Santner, Shardul Thakur, Imran Tahir.